Valenciennea puellaris. Living in the sand, usually in pairs. 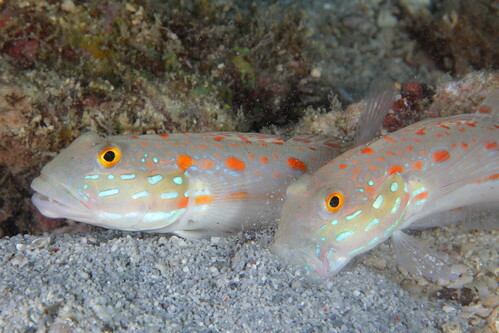 these gobies occupy a burrow, which they dig themselves, without the help of a shrimp. The right one is just picking up a mouth full of sand to sip trough for something to eat.